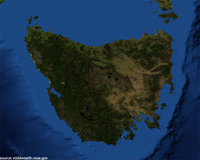 AEES President, Professor Hong Hao, and the AEES Committee look forward to welcoming you to Hobart, Tasmania, Australia to attend the 2013 Australian Earthquake Engineering Society Conference. The conference will be held at the Old Woolstore Hotel over three half days commencing at 1pm on the Friday (registration will open at 12 noon) and concluding at 1.15pm on the Sunday. There will be conference dinners on both Friday evening (at Peppermint Bay) and Saturday evening (at the Museum of Old & New Art – MONA). There will also be a Partners’ High Tea at Wrest Point and a tour to the Callington Mill via Richmond Bridge. A day trip has also been organised for those who are able to stay an extra day, to the Gordon Dam via the Mount Field National Park. A meeting of Australian Seismologists is scheduled for Friday prior to the conference at the Old Woolstore Hotel and the AEES AGM will also be held during the conference. Need ideas for things to do while in Tassie? Follow this link.